It doesn't replace the feeling of a speaker, but it does give you very accurate speaker simulation that allows you to be very silent! IMAGINE THIS: You play in a band and leave your cab at the rehearsal space... You take your head home and just plug it into the captor->interface->DAW and you're up and running with great tones without annoying anyone in the house! Use a set of headphones or monitors and you've got a sick recording setup for not a lot of money and very practical! Some days when you're up late and thinking about writing you get on garageband or whatever and you put up with the awful amp sims. Now you're able to use your lovely tube amps whenever you want and get really awesome simulations of great cabs! The 16 cabs are imo more than enough to find a great cab! More often than not you'll just find your favorite cab and mic and leave it there... I use the Marshall 1935 412 with greenbacks and the R121 mic for what I love. Get this and a focusrite 2nd gen interface and you've got a recording setup that will work with all your great tube amps! Also the -20dB is a great feature! I use it in conjunction with a resistive load attenuator, because I have a Non Master volume Plexi at home. If you have a master volume amp this attenuator will do everything you need an attenuator to do! But for Non Master Volume old school amps this is not ideal, but what can you expect from a 230 euro device that already gives you the ultimate recording setup? If you love your tube amp and you want to play it more I suggest you check this badboy out and write some great music! I'm using it with a Gigmaster 30 ENGL and a DSL15H Marshall. A lot of people seem to complain about the fact that the attenuation level not being variable, but I personally think it's enough...maybe because I'm not using man sized heads. 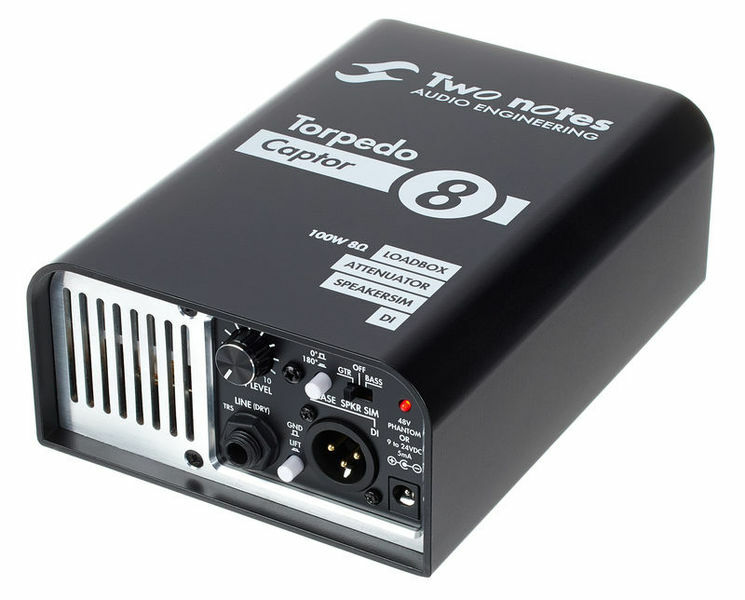 -Line output, 1/4'' TRS Jack: this can be sent to an audio interface for recording, this output is dry so you'll need to use the wall of sound pluggin to simulate a cab (or any other IR pluggin). Above it, there is a Out Level pot which applies to this output. -Cab simulated output, XLR Cable: this one is self explanatory as well, I personally did not use it, but people claim it's better than expected. -DC Jack: this is used to power the unit, HOWEVER, it seems to be needed if you use the Cab Sim, the Line output and the attenuation stage don't need to be powered in order to work, but I suggest you to power it up if you use it with high wattage amps because it also powers the cooling fan at the back of the unit. The unit seems to be solid and well built, nothing to complain. -Chose "Activate product", WOS will ask for a 30 digit code, instead, enter the product code that's placed near the "designed and engineered in france bla bla" sticker. In conclusion, I strongly recommend this unit, the only thing that could be improved about it would be a more comprehensive startup guide given with the unit.